Earlier this year, I was interviewed by Chris Herbert from CFO IXN about my new book, Guide to CFO Success. Here is a copy of the podcast. This post originally appeared here. Recently Chris Herbert, interviewed Samuel Dergel, of Stanton Chase International. Samuel Dergel is a Director and Search Consultant and specializes in Executive Search for Chief Financial Officers and Senior Financial Executives. Samuel has recently written a book titled, Guide to CFO Success, Leadership Strategies for Corporate Financial Professionals and Chris asks him a few questions about the book. Below you will find a recording of the interview and a corresponding timeline, listing the 9 Questions and their respective timestamps within the interview. 01:04 Who did you write the book for? 02:20 What motivated you to write the book? 03:58 What is the definition of a Chief Financial Officer? 05:54 What makes a CFO successful today and in the future and what are the skills they require? 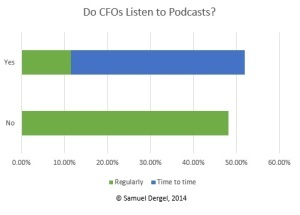 07:00 What do CFO’s need to do to ensure their future success? 09:10 What is a formal plan and why you need one as a CFO? 10:25 What do you need to do to become a CFO? 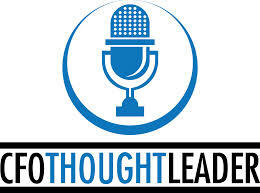 11:35 Can a CFO use what is written in your book to stay a CFO? 12:36 Do you need a different CFO depending on the type of company?